(SPOT.ph) Depending on where you come from, dining at popular British pizza chain PizzaExpress meant a drive all the way to Uptown Bonifacio. 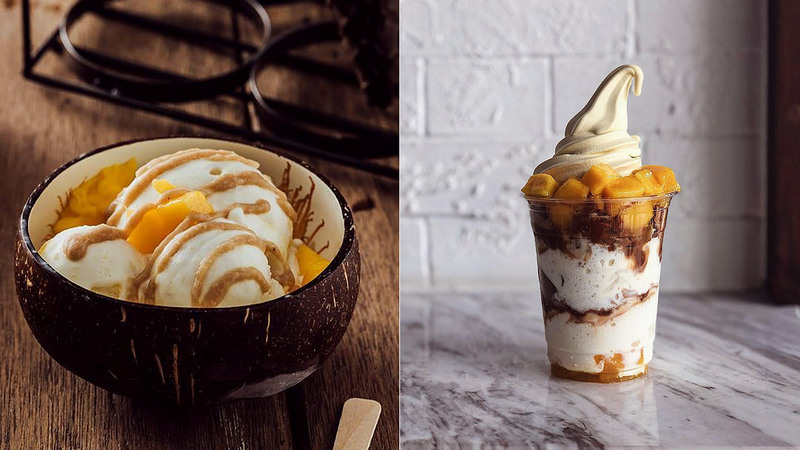 While their pizza, with a delightfully chewy crust and only the freshest ingredients as toppings, is worth the drive, people from the north will be glad to know that PizzaExpress is opening their second branch tomorrow at SM North EDSA. The SM North EDSA branch, designed by C+Y Design Studio, features murals of Manila's citylife. Like a traditional carbonara, there's no cream on this Carbonara Pizza. 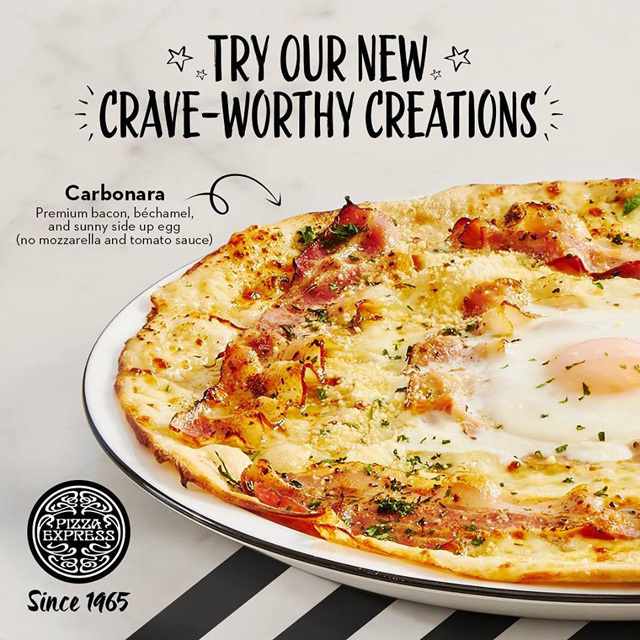 Aside from the usual favorites like the Lava Pizza, which comes with huge chunks of burrata cheese, PizzaExpress is also launching new items like the Carbonara Pizza with bacon, béchamel, and a sunny-side-up egg. Fans of their addictive Dough Balls are in for a treat, too, with the Dough Ball Tower, a stack of the chewy balls of dough topped with candy sprinkles and served with a side of white chocolate ganache. 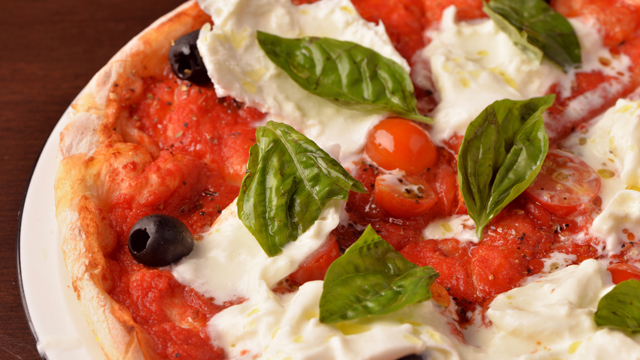 PizzaExpress is at G/F SM North EDSA, Quezon City.